Our specialist Education Team work with schools across the County, delivering a number of schools programmes. They deliver numeracy and literacy programmes in school as well as a suite of lifestyle initiatives. We use rugby as a tool to engage young people whilst the ethos of the game supports the development of their life skills. Find out about our various schools programmes below. Walk Like A Warrior is an award-winning initiative for 12 to 14-year-olds who are in danger of becoming excluded and those who are struggling can be referred to us by their teacher. We work with one school per term and can take ten to 14 students at a time. Walk Like A Warrior concentrates on developing and improving students’ key skills such as teamwork, leadership, problem solving, communication, confidence and respect. Students attend sessions at Sixways for ten weeks. The sessions are both classroom-based and practical. Now in its tenth year, this programme has had a positive impact on over 700 young people from 12 schools across Worcestershire. This project is aimed at smaller groups, with students specifically targeted by schools. The two-hour sessions are split – one hour in the classroom focusing on teamwork, leadership, communication and respect, and one hour trying a range of different sports including rugby, dance, cricket, rounders, self defence, gymnastics. The aim of this project is for students to work in teams to design a product that can be sold in the Sixways Store. Students are given a brief and come up with a business name, assign roles (MD, Sales Director, Marketing Director, Finance Director etc) before spending time researching and brainstorming ideas. The teams are invited to present a pitch to members of Warriors staff with the winning teams from a variety of schools invited to Sixways for the final. In the 2016/17 season, Bishop Perowne Church of England College were crowned winners of the inaugural Worcester Bosch Enterprise Initiative after devising a Warriors-themed gift set for dogs to be sold in the Sixways Store. This project is designed to celebrate the things that make Worcester great, from our historical buildings to the role Worcester played in the Civil War, our international sports stars, Royal Worcester porcelain and the world-famous Worcestershire Sauce. By raising awareness of our city we hope that children will have an increased feeling of pride in their city. Lesson 1 – Worcestershire Sauce – Design a new bottle for (School Name) Sauce. Lesson 2 – Civil War – Empathetic writing – Write a letter from the battlefield. Lesson 3 – Sport – Research sporting heroes from Worcester and create a profile. Lesson 4 – Worcester Porcelain – Design a plate celebrating Worcester. Lesson 5 – Worcester Cathedral – Tessellating patterns – Floor tiles for school. Lesson 6 – Maps – Compare C16/C19/C21 maps of Worcester. List similarities/differences and discuss the changes. This project links rugby with literacy, showing how the skills children learn in their literacy lessons can be used in sport. Matchday Magazine – The children work in pairs / small groups to design different pages of the Warrior Matchday Magazine. When printed out the class will then have their own copy of a magazine. Radio Reports – The class create a ‘Sports Report’ style radio programme, watching highlights of a variety of different sports, preparing a report and then recording it and editing them together. Advertising – The children design an advertising campaign for a Warriors match. The Aviva Tackling Numbers is an innovative and engaging programme for Key Stage 2 children, which makes learning about numbers fun, exciting and rewarding. 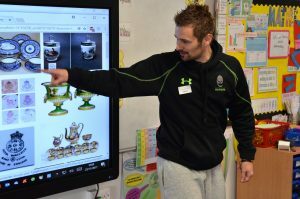 Delivered by the 12 Premiership Rugby clubs across England, this rugby-themed programme integrates interactive classroom maths sessions with practical, number-based rugby games. Moreover, by using rugby-themed content that connects with real life experiences, Aviva Tackling Numbers puts in place foundations for financial literacy in later life. Aviva Tackling Numbers offers a new way to achieve the National Curriculum’s maths and physical education, citizenship and Personal, Social, Health and Economic Education (PSHE) outcomes, so that children can progress at their own rate. This resource contains differentiated task levels and opportunities for assessment throughout. 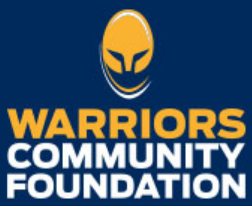 Delivered nationally by Worcester Warriors and the Premiership Rugby clubs in primary schools which Greggs Foundation already has a relationship with through its Breakfast Club Programme, the Tackling Health programme is an interactive project for children aged seven to eight which takes a holistic approach to teaching children about their own health, wellbeing and about leading a healthy lifestyle with a rugby focus. · Current childhood obesity rates state that one in three children are obese or overweight by the time they leave primary school. · Children growing up in low income households are more than twice as likely to be obese than those in high income households. 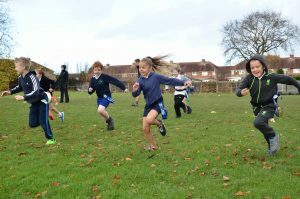 Wayne Morris, Community and Corporate Responsibility Director, Premiership Rugby said: “Almost one in three children leaving primary schools are now classed as overweight, which is a really scary number, and rugby is a really great sport as it’s suited to lots of different body shapes. “We want to use the assets we have, such as the players as role models, the brands of the clubs, to get young people excited about being physically active and understand the food they are putting into their bodies. “Tackling Health is a great partnership with the Greggs Foundation, which has a great history of delivering Breakfast Clubs at primary schools all across the country. 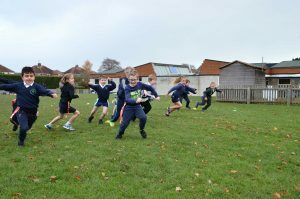 “Premiership Rugby also has a great history of making learning in a school environment fun for young people and when you put those two things together you get a fantastic programme like Tackling Health. Tracy Lynch, Foundation Manager, Greggs Foundation said: “When organisations combine their ideas, resources and passion together, they can often have greater impact than working on their own.